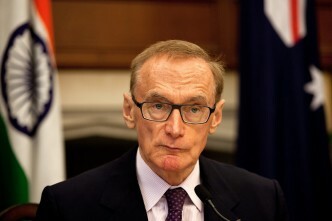 After reading Bob Carr’s Diary of a Foreign Minister, I’m left wondering why the business of foreign policy is—well, to be blunt—so completely un-strategic. Can it really be true that ‘all foreign policy is a series of improvisations’, as Carr concludes, just running from one international meeting to another, from one consular crisis to another? Carr’s judgement might tell us more about his short tenure than about how foreign policy could or should be made. Yet Australian foreign policy is remarkably resistant to the notion of long-term planning that is accepted as routine business in many other areas of public policy. There has been no foreign policy white paper for more than a decade. The last attempt to develop a strategic plan for foreign policy—the Asian Century White Paper of 2012—was an alien graft produced outside of DFAT, and it didn’t take. Australia fought hard to win a UN Security Council temporary seat, but we’ve seen nothing since to point to a distinctively Australian view of the world from New York. The simple fact is that Australia’s foreign policy makers tend to be cautious, reactive and disinclined to commit big planning frameworks to paper. Suggestions that the Government should ask DFAT to develop a new foreign policy white paper have been greeted with a glassy-eyed silence. 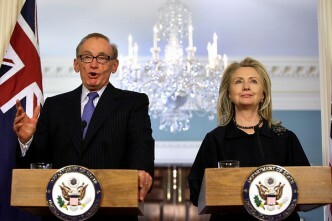 Seasoned diplomats would rather be slapped with a wet fish than develop Le Livre Blanc. In the words of the sage, why is it so? I suggest there are five key reasons why DFAT doesn’t do strategy. First, it’s clear that the business of diplomacy must involve quick reactions to events that evolve outside of Australia’s control. 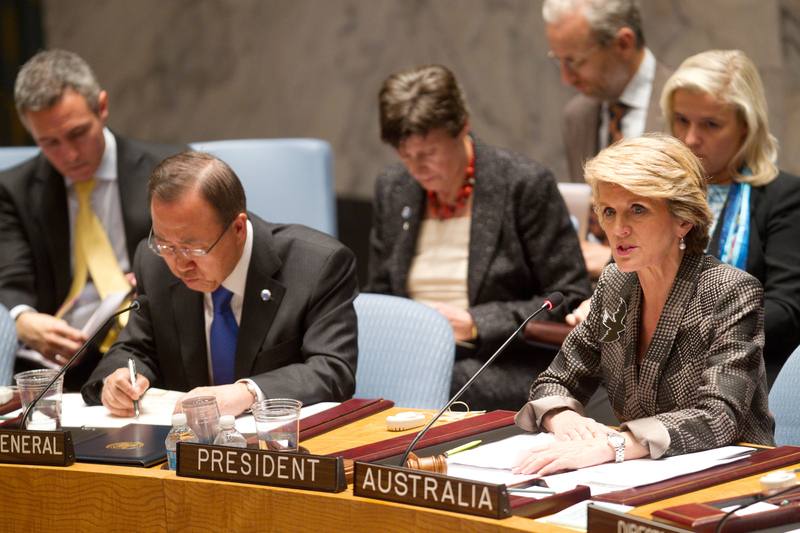 For example, the bulk of the work of UNSC during Australia’s short tenure involves the Middle East and Africa. In practical terms, the best we might do is scramble to stay informed about areas where our interests aren’t deeply engaged. Some experienced diplomats regard the essence of their job as the intelligent management of events, and believe that strategy by contrast is an affectation. This approach produces good crisis managers, but poor long-term planners. While the day-to-day business of diplomacy might well involve reacting to events, the promise of a foreign policy is that a carefully developed plan will help to shape the right responses to events. A second aversion to strategy is that it constrains options and limits flexibility. For example, the main weakness of the Asian Century White Paper was that it narrowly defined Australia’s foreign policy interests to a handful of major powers. Of course those countries are vastly important to Australia, but they’re hardly the whole story—and why annoy European, African, Middle Eastern and Latin American countries by explicitly saying they’re second-order priorities? While planners in other departments specifically look for ways to force choices on Governments, DFAT’s orientation more typically wants to keep options open. Third, DFAT doesn’t manage long-term investment decisions in the way that Defence and some other departments do. A plan to build submarines takes almost a decade (we are told) to move from the gleam-in-the-eye to cutting steel and the boats could operate for twenty-five years after that. There’s no option but to be strategically-minded to deliver military capability. By contrast, DFAT’s only long-term capability project is to grow more diplomats, which they do by forcing younger staff into seemingly endless apprenticeships. Even aid projects are mostly about managing short term contracting arrangements. A fourth reason for DFAT’s relative absence of strategy is that the in-house capability for doing it has been cut back by almost twenty years’ deep financial stringency. As ASPI wrote in our 2013 Strategy, Agenda for Change (PDF), ‘DFAT has 5% fewer staff, and 14% fewer staff overseas, than in 1996. Among the G20 nations, only Saudi Arabia has fewer overseas diplomatic missions than Australia.’ While staff numbers have shrunk, DFAT’s consular work load has increased, providing a different focus and a higher priority for attention than strategic planning. While I don’t doubt the interest of many in DFAT to take a more strategic approach to their work, the unhappy reality is that the department would struggle to develop a White Paper in the event it was asked to write one. Finally, governments get the policy priorities they ask for, and it has been a long time since anyone asked DFAT for a strategic policy framework of the type associated with white papers. The Howard Government issued Advancing the National Interest as a foreign policy white paper in 2003 and—despite its regular Defence Updates—never revisited it. Kevin Rudd didn’t require DFAT’s advice on foreign policy, Julia Gillard looked to Ken Henry rather than the department for the Asian Century paper. For the reasons outlined above, DFAT is unlikely to offer up a white paper voluntarily. It’ll be up to the Government to decide if one is useful. Peter Jennings is executive director of ASPI. Image courtesy of Department of Foreign Affairs and Trade.